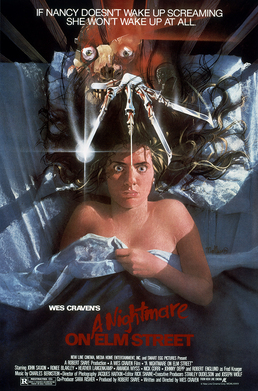 We look at one of the all-time great horror classics, A Nightmare on Elm Street. Johnny Depp stars, and amazingly, Charlie Sheen was originally cast in the lead. John Saxon co-stars (Enter the Dragon) as the local cop and of course there’s Heather Langenkamp. And who could forget the then unknown actor, Robert Englund? New Line Studios (Lord of the Rings) is called “The House that Freddy Built.” This film made them and made Wes Craven and Bob Englund. The gloved one (not Michael Jackson but Freddy Krueger) has become an indelible pop culture icon and we break down what makes this such an unforgettable classic.